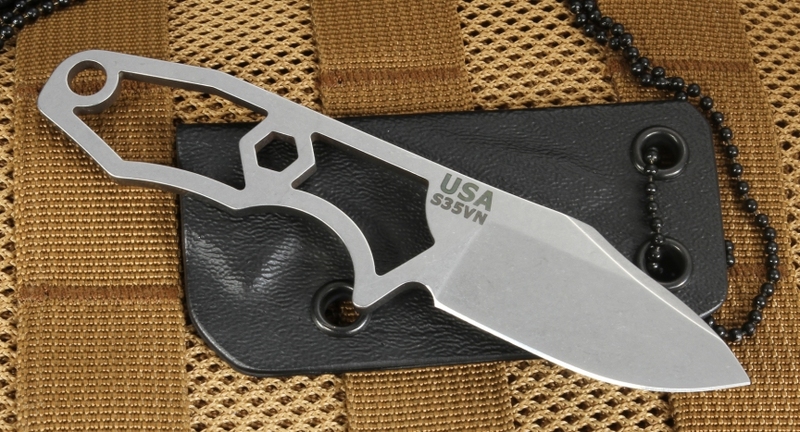 Razor sharp Rick Hinderer LP-1 neck knife in stone washed stainless S35VN steel. Integral lanyard hole in the handle. Handle also has an integral 1/4" hex tool cut out. 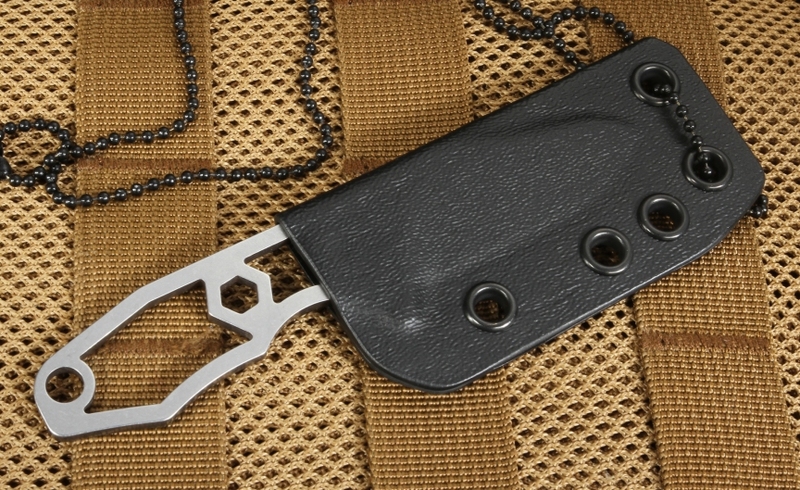 The knife comes with a slim kydex sheath and black ball chain necklace for excellent concealed carry. The slim profile of the LP-1 and the custom kydex sheath enable this knife to lay flat against your chest. 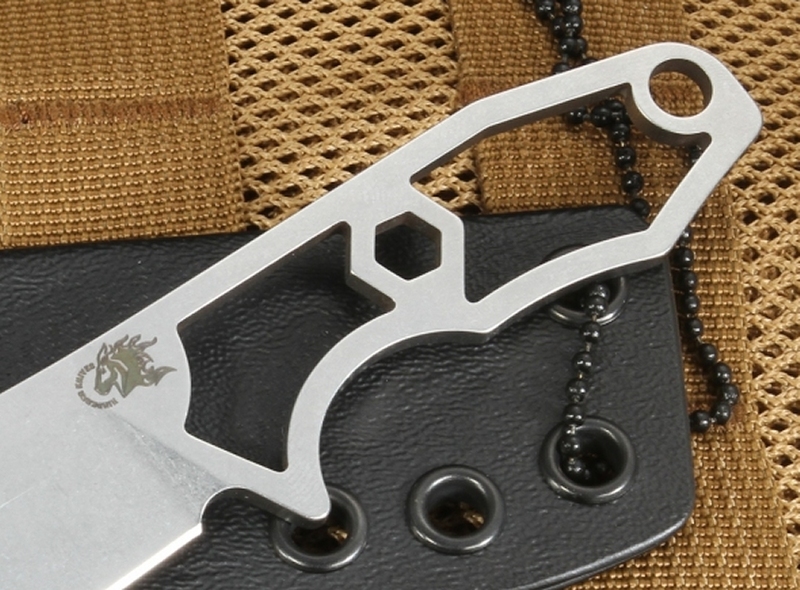 The stainless S35VN steel blade features a razor sharp flat grind. 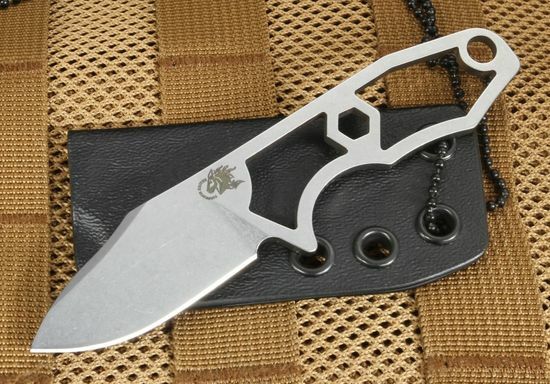 Perfect go anywhere quick grab concealed carry neck knife tactical fixed blade from Rick Hinderer. 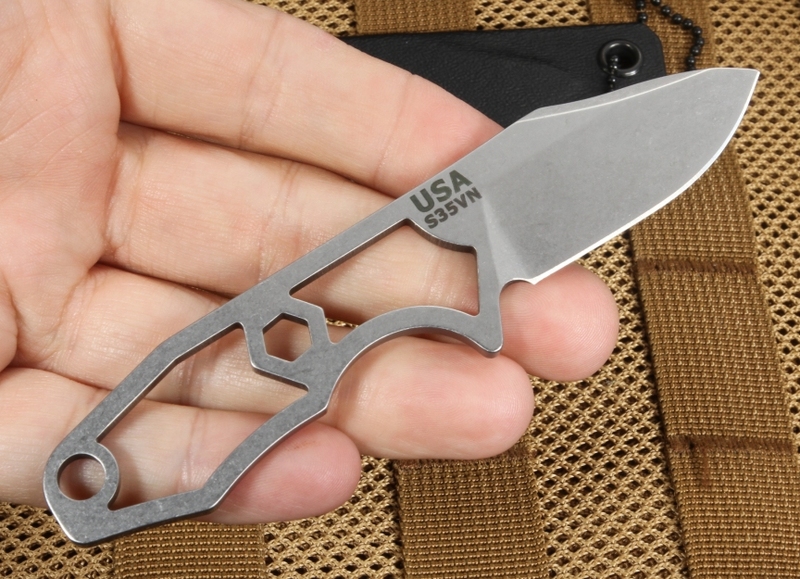 The LP-1 also makes an excellent slim pocket carry fixed blade.